IHT has often been described as a voluntary tax. Despite recent efforts by HMRC to tighten up the rules, it remains quite easy to avoid with relatively simple planning but there are traps which will catch the unwary or ill advised. UK expats, even those who have lived abroad for many years often remain UK domiciled so need to plan accordingly. This article focuses on planning opportunities for them and UK residents of all nationalities. The current UK IHT regime is an amalgamation of the old capital transfer tax and estate duty regimes. 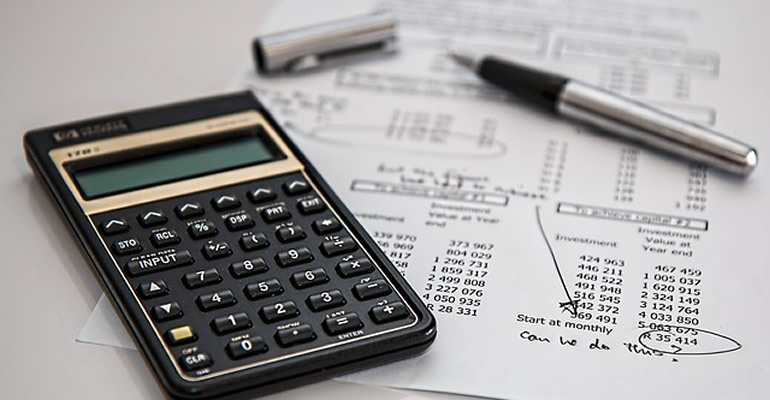 The new tax is not very well named because it bites on gifts made during lifetime as well as bequests made on death via a persons’ will or intestacy for those who are unprepared – which is apparently 61% of us. The rate of tax might be considered penal. It is currently 40% on the total value of the estate of a deceased person after the exemptions which are described later. It is an additional tax payable on capital accumulated during a lifetime upon which tax has already been paid. Some time ago the writer attempted to calculate the total return to government on earned income assuming the tax payer was subject to the top rate of tax which was then 50% and he or she was spending it on a typical basket of goods and services similar to those used to calculate the retail price index. We concluded that approximately 85% of earned income went back to government. That might surprise many but bear in mind that in addition to the direct income tax burden, there is National Insurance and then the typical tax payer would be paying road tax, council tax, purchasing alcohol, tobacco and fuel upon which there are heavy government duties, possibly paying the congestion charge in London and then shelling out another 20% in VAT on top of everything else that is left. After the government have clawed back that lot it might seem unfair that they then want to grab another 40% of anything that the poor tax payer manages to accumulate during his lifetime and wants to pass on to his nearest and dearest. On the other hand, by definition, the recipients haven’t earned this money so why should they complain about receiving less? And, of course, dead people don’t vote so there is little incentive for political parties to court their favour and little sympathy from the wider public for those wealthy individuals who have their remaining wealth top sliced by the government. The vast estates of the land are not getting broken up by the need to pay IHT. In most cases all value was transferred many years ago. Witness the reported lack of IHT paid on the death of the Duke of Westminster. He was the custodian of the Grosvenor estate which comprises, amongst other things, large swathes of Mayfair and Belgravia property worth an estimated GBP12 billion. The IHT bill is likely to have been miniscule to zero on the basis that it was, and still is, owned by a trust so the death of the Duke is not a chargeable event as the assets remain the property of the trust and do not pass to anybody. There are obvious ways to avoid the tax. One is to spend everything. That is fine as long as you know when you are going to die and can spread your spending accordingly. Indeed the UK incentivises spending by making it difficult to rely on state funded care if the “client” has any assets of their own. Fair enough perhaps. Why should the state pay for care for those who can afford to pay for themselves? We are all living longer and need more money for our latter years so most would urge caution on their spending and hope to keep substantial reserves. There is no charge on transfers between spouses either during lifetime or death provided the donee spouse is domiciled in the UK. Such gifts also do not attract Capital Gains Tax (CGT) provided the spouses live together (TCGA 1992 Section 58). This makes sense. Without that exemption the surviving spouse may be unable to look after themselves and could need to resort to State funds. This exemption only delays the IHT as on the death of the surviving spouse the tax would bite when, presumably, the assets would then be left to the children or other persons so HMRC get their 40% then. Outright gifts obviously reduce the value of the estate and can be made tax free to other individuals providing the donor survives for another seven complete calendar (not tax) years. This is the Potentially Exempt Transfer regime (PET). Trusts used to be a very effective way of eliminating IHT. They still avoid the 40% charge on death but if an UK domiciled person transfers assets to a trust there is an immediate lifetime IHT charge of 20% of the value of the capital transferred. Additionally, the trust would be subject to a 10 yearly periodic IHT charge equal to approximately 6% of the then capital value of the trust assets. For older persons this might still be preferable to waiting and losing 40% as long as they have the ready cash to fund the tax payment when they set up the trust. And of course the trust can have many additional advantages – dynastic planning, asset protection etc . If the settlor survives the settlement by 30 years it is cheaper, then, to pay the 40% on death than the 20% and 3 lots of the 6% 10 year charge. For non-UK domiciled persons trusts remain extremely effective for IHT planning. This is particularly relevant to many wealthy foreign domiciled persons who have been in the UK for a considerable time and are about to be considered as domiciled. Under those rules anybody who has been in the UK for 15 out of the last 20 years will now pay UK IHT at 40% on their worldwide estate – same as a UK domiciled person. This has caused some panic amongst the very wealthy “foreigners” living in London and many have left. It is not necessary to do that. Non-UK assets can be transferred into trust prior to becoming deemed domiciled and this will be an Excluded Property Trust (EPT). Those assets remain outside the UK IHT. UK assets can be transferred to overseas companies and the shares of those companies can be settled into the EPT. The exception is UK residential property. That is subject to UK IHT on the death of the owner/settlor of the trust irrespective of how it is held. UK registered pension schemes now benefit from a specific exemption from UK IHT (IHTA 1984 s151(1)). The exemption extends to certain types of overseas pension schemes known as Qualifying Non-UK Pension Schemes (QNUPS). QNUPS can be set up in Malta or Guernsey. If the member dies aged 75 or over benefits will be subject to income tax but income can now be payable to any nominated beneficiaries who can each utilise their £11,000 personal allowance. If the member dies under the age of 75 benefits paid out within 2 years of death can be paid entirely free of UK income tax. Increasingly, wealthy individuals are setting up Family Investment Companies (FICs). This is a relatively simple technique. Assets are transferred to an offshore or UK company. The rights and obligations attaching to the shares of that company are divided between shares which carry votes only, shares which carry the right to income (dividends) only and shares which carry the right to the underlying assets (capital). In simple terms the transferor retains the voting shares and therefore control of the assets and the affairs of the company and may also retain some or all of the income shares so he can receive dividends and an income during his lifetime. But the capital shares are immediately or progressively given away to family members. The gift of the capital shares would be a PET so require the donor to survive the usual seven years for the gift to be tax free. There are quite a few other exemptions to the IHT regime. Every UK person gets a nil rate ban of GBP325,000 so can give that amount away tax free during their lifetime. In fact this is another misnomer as the bar resets every seven years so on the seventh anniversary anyone can give away another GBP325,000. Gifts of GBP3,000 per annum can be made to as many people as you like tax free. If the allowance is unused one year it can be rolled over and added to the allowance for the following year so a tax free gift of £6,000 can be made. There is an additional exemption for the family home which is currently an extra £125,000 per spouse but will rise to an additional GBP175,000 by 6th April 2020. At that time a family home worth up to GBP1 million can be passed on to the children tax free. Terms and conditions apply. There are also other forms of property which are given Business Property Relief (BPR) (IHTA 1984 s.105). If a taxpayer holds assets which qualify for BPR on death those assets will either benefit from 100% relief from IHT or 50% relief, depending on the type of asset that is held. The most common type of assets which benefits from 100% relief are shares in an unlisted trading company which can be based in the UK or overseas. Assets which only attract the 50% relief tend to be buildings which are used in a business but owned by the taxpayer (and typically let out to the business) and not owned by the business itself. There is no longer a minimum level of shareholding required so even a 0.1% shareholding in a trading company will benefit from relief assuming the other conditions are met. Again, terms and conditions apply. It is possible to acquire shares that qualify for BPR on the Alternative Investment Market (AIM) exchange. It is not a recognised stock exchange so the shares that are offered should in principle benefit from 100% BPR. But the shares must not be listed on any foreign recognised stock exchange otherwise BPR will not apply. All planning which reduces tax could be subject to the rules on Pre-Owned Assets Tax (POAT) and, in particular, the Gift with Reservation of Benefit (GROB) rules. These are complicated and can easily catch out the unwary. GROB is often an issue for those transferring assets during their lifetime. Simple examples include parents giving away their house whilst continuing to live in it without paying rent. Or gifts of artworks which remain on the walls of the donor who continues to enjoy that work. And then there is the possibility that the General Anti-Avoidance Rule (GAAR) could apply to any type of fancy or complicated planning. The danger of GAAR can generally be eliminated by receiving opinion on that particular point. Philip Hammond has announced that he will be looking at all these methods of reducing IHT, presumably to eliminate their effectiveness. Others are calling for the abolition of IHT. They see it as fundamentally unfair to charge tax on tax paid assets. Abolition is highly unlikely. The UK government want the money. We think that the best advice for anybody with a global wealth of over £1 million is to plan early whilst opportunities remain. After all you can still leave the money in your will to HMRC if you think they should have some of it! There is never a convenient time to start this planning and clearly many people never get round to it. The results are obvious from the headline at the start of this article. The message is: Get on with it or lose it.